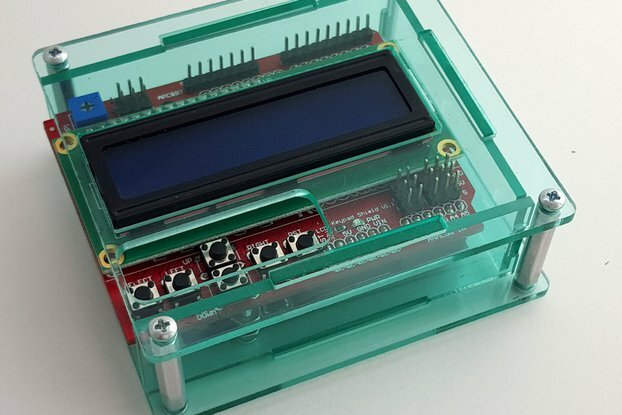 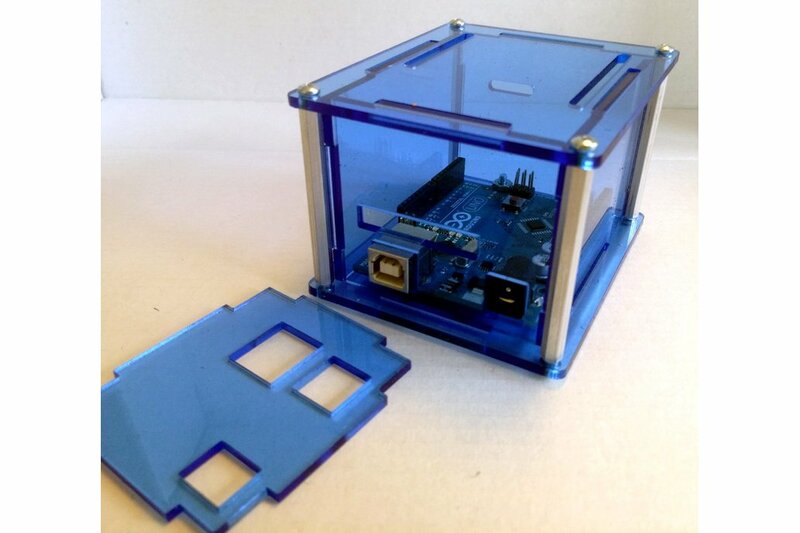 This is an enclosure I designed for the Arduino Uno. 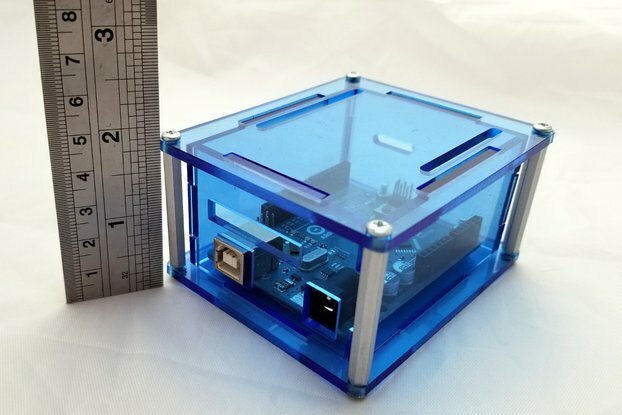 It comes as 7 separate acrylic panels (there are two versions of the front plate included to choose from) that you can assemble easily with the included aluminum standoffs and screws. 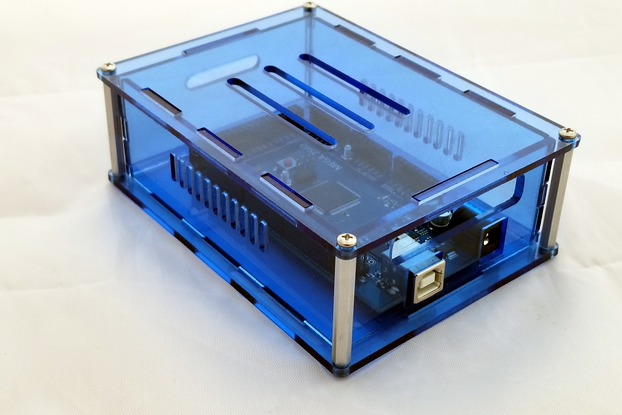 A small board spacer is also provided to lift the Arduino board up enough that it can be secured level and without cracking the bottom plate of the enclosure. 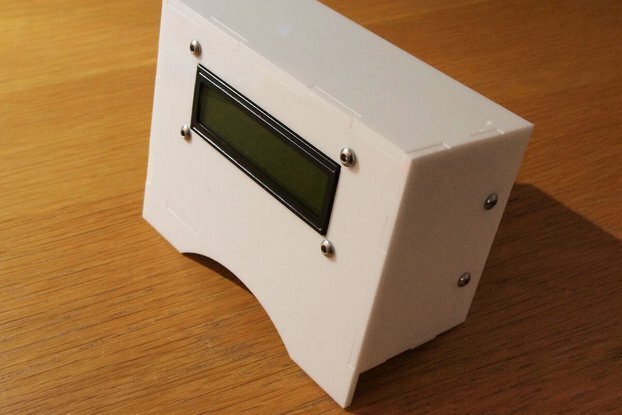 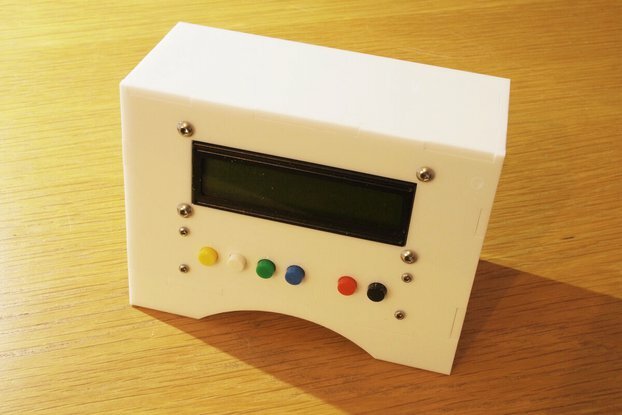 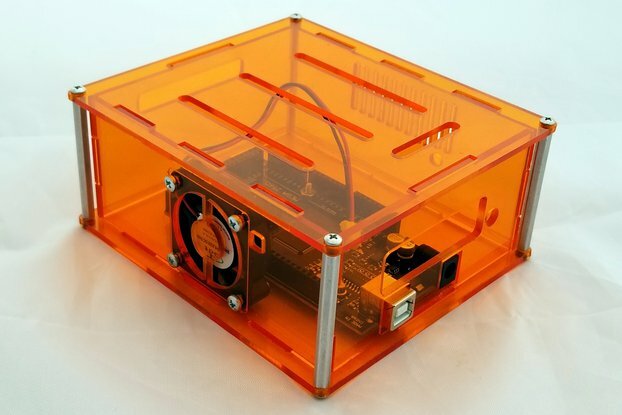 A slightly shorter version of this enclosure is also available. 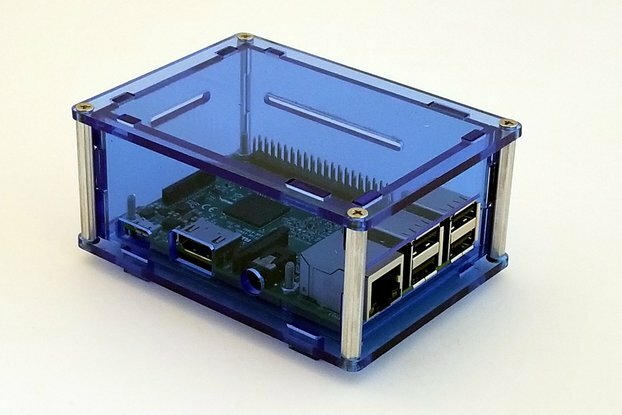 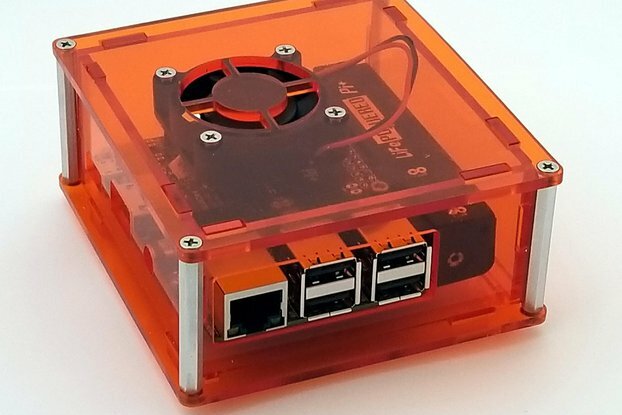 A larger but similar version of this enclosure is also available. 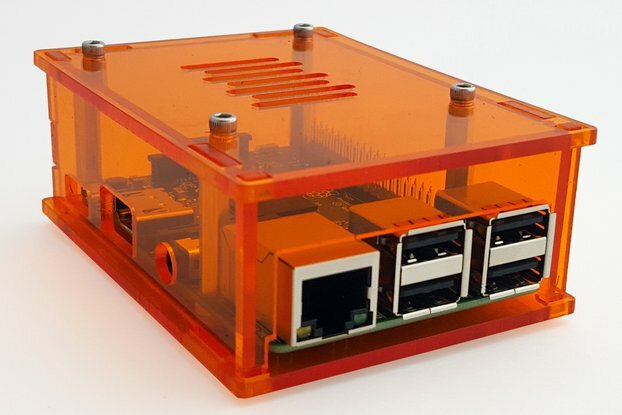 Slots built into the top and rear panel for routing wires in and out of the enclosure. 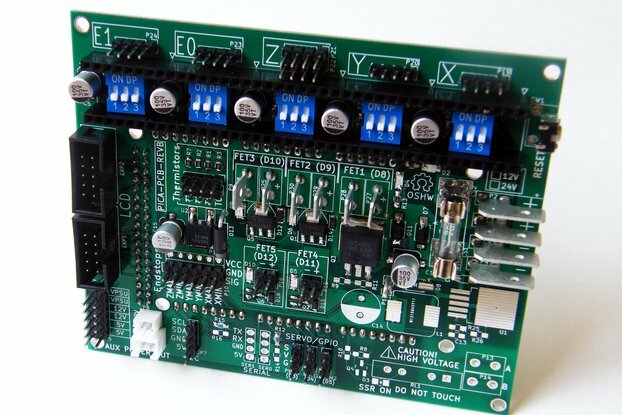 Easy to assemble and disassemble repeatedly without breaking. 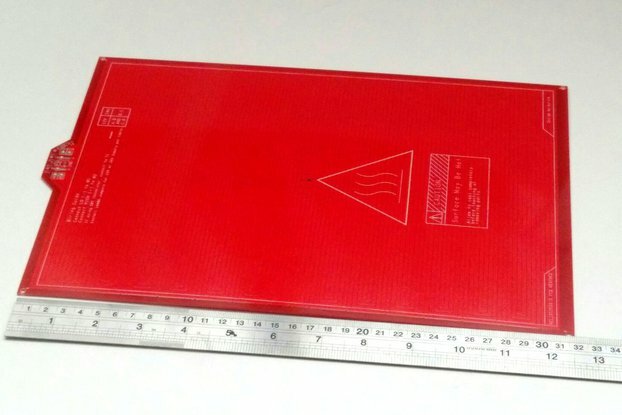 Doesn't fatigue like most acrylic "snap-fit" designs.